Summit Bus of Oklahoma City now sells and services Collins Type A buses, as does Summit Bus of Albuquerque. 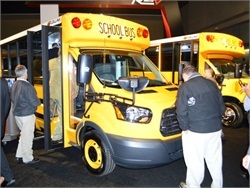 Albuquerque Freightliner, which is part of LoneStar Truck Group, will offer all Thomas Built Buses products, including Type A, C and D school buses. Albuquerque Public Schools' back-to-school event trains transportation personnel on such topics as emergency procedures, behavior intervention and bullying. 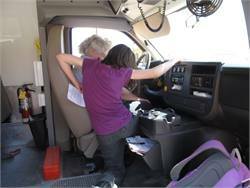 One session gives school bus drivers tips on "how to avoid ending up on the 10 o’clock news." Linda Barreto was pulled over while transporting students after 911 callers reported a bus cutting them off in a reckless manner and also hitting the brakes. 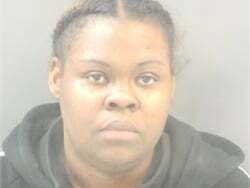 She was arrested and charged with child abuse and possession of dangerous drugs. Gallup-McKinley County Schools' buses won't cross metal bridges that are rated for less than 15 tons until the state certifies them safe for the weight of the buses. Meantime, parents will be reimbursed for mileage to take their students to bus stops on the other side of the bridges. 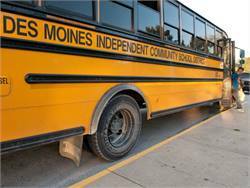 An Iowa school bus driver passes away after suffering a medical emergency during his route, but officials say that he pulled the bus over safely and no students were injured. 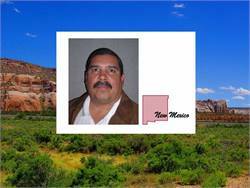 The incident follows the death of another driver in New Mexico, where a bus went off of a road and down an embankment. Albuquerque (N.M.) Public Schools’ student transportation services division is instructing its bus passengers on how to stop a bus if the driver is unable to. 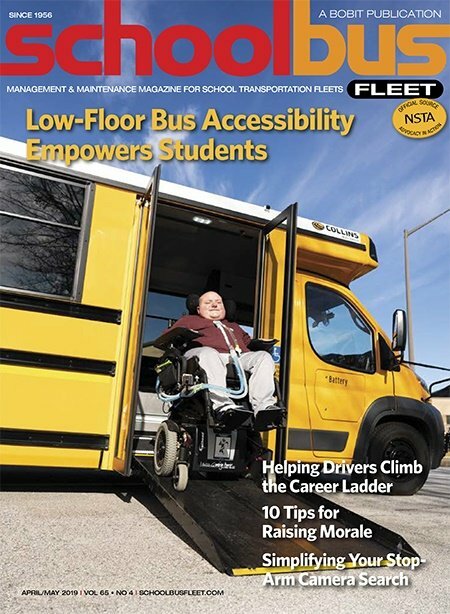 The training is implemented after Rhonda Carlsen boards her daughters’ bus to stop it because the driver is incapacitated. She discusses the incident with SBF, and Roger Garcia, co-interim director for the transportation division, discusses the components of the training. An abandoned backpack is filled with Molotov cocktails at the stop, which is located less than half a mile from a middle school. 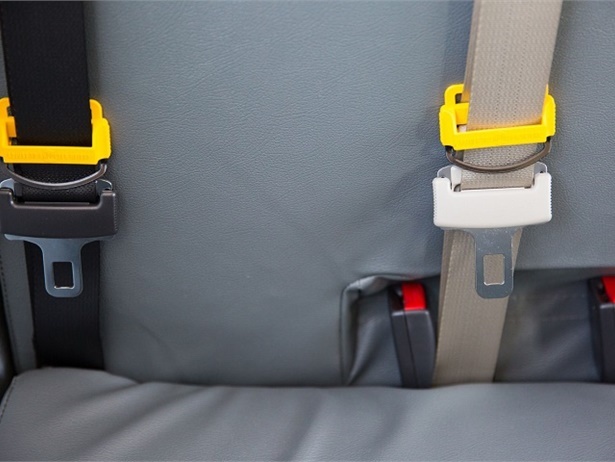 Investigators are looking at security tapes from cameras on school buses to see if they can spot any students with the backpack. 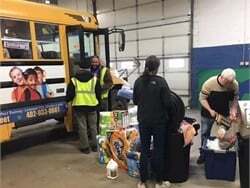 McKinley and San Juan counties will share $561,000, which was released by the U.S. Department of Transportation and made available through the Indian School Bus Route program. The money will be used to improve roads within or that lead to reservations and serve as school bus routes. 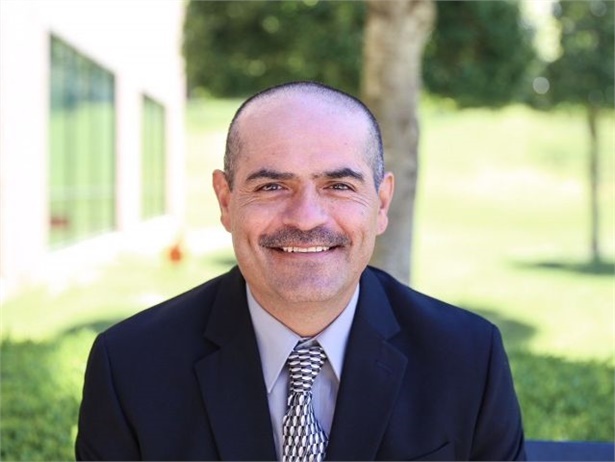 Gilbert Perea, the state pupil transportation director for New Mexico, will retire later this month with more than 30 years of experience in the industry. 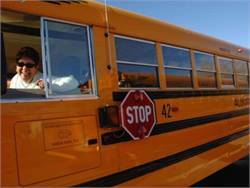 It began when he was a basketball coach, which required him to be licensed as a school bus activity driver. Pupil transportation professionals from across the state gathered here in mid-November to share ideas and stay abreast of issues facing the industry.